Are you searching for the perfect San Diego Dentist? Welcome to Marcos Ortega, DDS! We are passionate about providing patients with high-comfort dental treatments and unparalleled customer care. If you want to discover your healthiest and most beautiful smile, it’s time to schedule a consultation with an experienced dentist! San Diego, CA, residents don’t have to go far to find the ideal dental experience. You can find Dr. Ortega’s dental practice in Hillcrest, near Park West, Mission Hills, and Middletown. 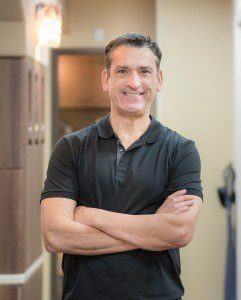 Dr. Marcos Ortega incorporates the latest technologies and techniques in the fields of restorative, cosmetic, and general dentistry. You can learn about a few of the services we offer by reading on below. We hope we hear from you soon! We can’t wait to warmly welcome you into our office and give you the stunning smile that you have always wanted. We hope that you will turn to our dentist in San Diego for your cosmetic, general, and sedation dentistry needs. Dr. Ortega not only serves patients from Hillcrest, Park West, Mission Hills, and Middletown, but from all around San Diego as well. Click here to schedule a visit today to learn more about transforming your smile in San Diego!